Shared Service professionals know that understanding how to measure success is only half of the battle. Consulting Firm TSI tackles this challenge with its top Critical Success Factors for Shared Services Optimization. 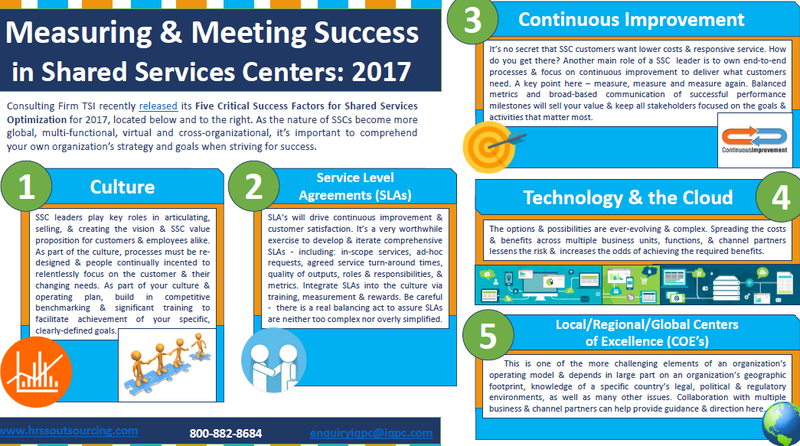 Inside the infographic find more information about the strategies to achieve shared services success in Culture, Continuous Improvement, Technology & the Cloud, and more.